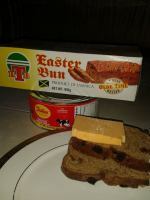 Jamaica Country Code - What Exactly Is That? I’m going to be honest with you, just a few years ago, I thought country codes and zip codes were the same, seriously! LOL! These codes can be alphabets or numbers, and are normally 1-3 characters long. Country codes make it far easier to make long distant calls overseas. If you believe that the telephone numbers for some countries are extremely long, can you imagine them with no country code? Those numbers would take up an entire page in order to make one contact number specific to one individual or organization! So What Is Jamaica's Country Code? 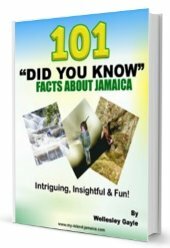 Jamaican telephone numbers, like the United States and Canada, are the standard ten digits, which are used in these western parts of the world, and includes our Jamaican area code. Our area code, however, is not required to be used to make calls while we are dialing locally. This is because, unlike the United States and Canada, Jamaica has only one area code. Our Jamaican area code is 876 and is used to contact anywhere throughout our island, no matter the parish. Now in regards to the country code, Jamaica, like Canada, the United States and some of the Caribbean Islands, use the country code +1 followed by the area code (876), and then the seven digit telephone number of the individual you are trying to reach. It’s pretty simple, and no, you don’t have to dial the “+” either, just the number 1 will do and you will be good to go! So the next time you decide to call “sweet Jamdung”, you should have no problem what so ever!